We know that it can feel like a constant struggle to balance speed of development with your security and compliance requirements. We’ve taken our 20+ years building open source languages and launched a runtime security offering – the first building block of our new SaaS platform. 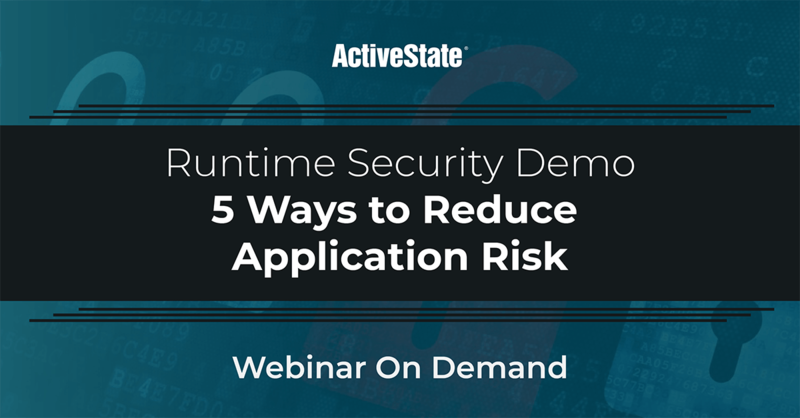 In this webinar, we demo our SaaS Platform plus cover 5 key ways to reduce application risk. We also discuss how we’re solving pain points of working with open source languages. Ensuring security at runtime: Security is built-in, embedded in the language interpreter. Minimizing attack surface: Use the packages you need. Identify what you don’t need. Getting a Key Risk Indicator Dashboard: See all security & compliance issues at a glance in real-time. Profiling Risk: Profile vulnerability & usage. Gain better triage at runtime. Reducing Time to Detection: Track & update vulnerabilities in real time.